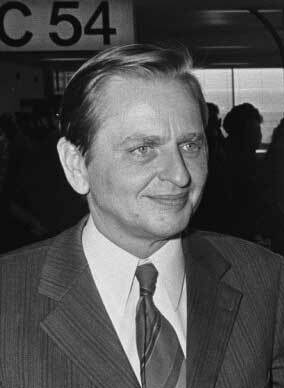 Swedish politician Olaf Palme was born in Stockholm and received most of his education in the United States. He attended law school in Stockholm, however. In 1949, he joined the Socialist Party, and soon became the leader of its youth wing. In 1955, he was elected to the Swedish Parliament. Eight years later, he became a member of the government and, in 1969, he became Prime Minister. Palme was a dominant figure in Swedish politics. A confirmed Socialist, he was committed to strengthening Swedish Socialist policies. Palme strongly criticized US involvement in Vietnam and was equally critical of the Soviet invasion of Czechoslovakia. Palme was assassinated in 1986 while walking home from a movie. His assailant was never apprehended.